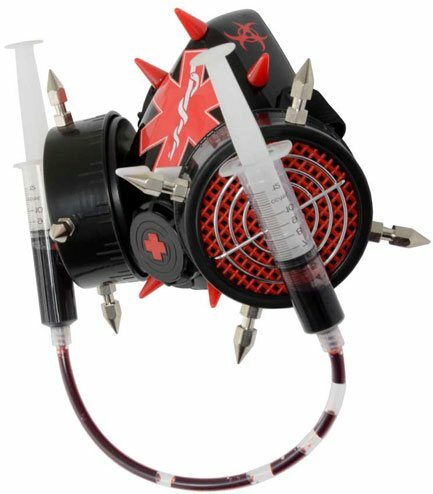 Cyber respirator with two syringes full of fake blood. 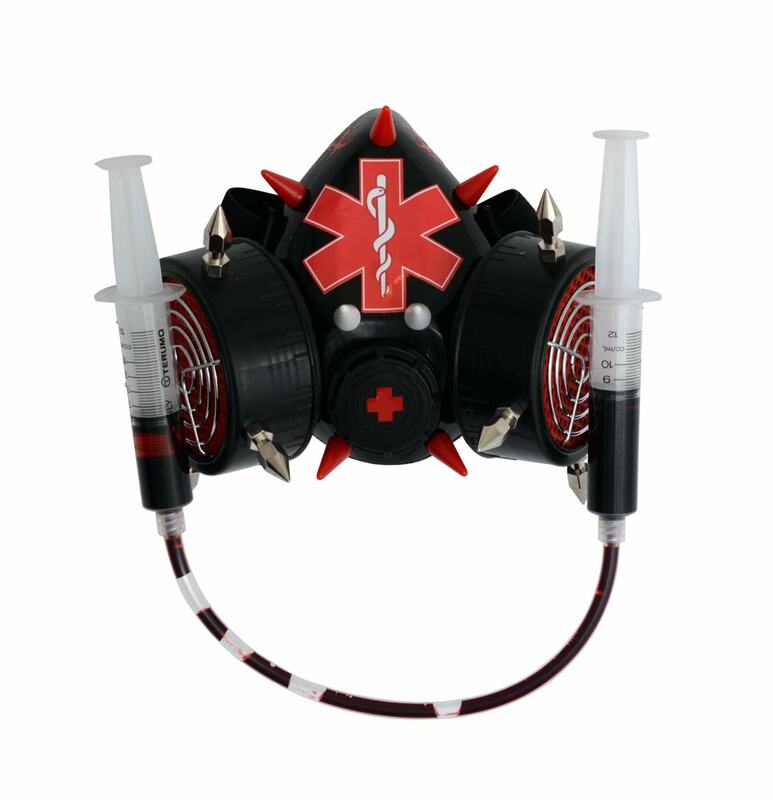 Bio hazard and star of life images. 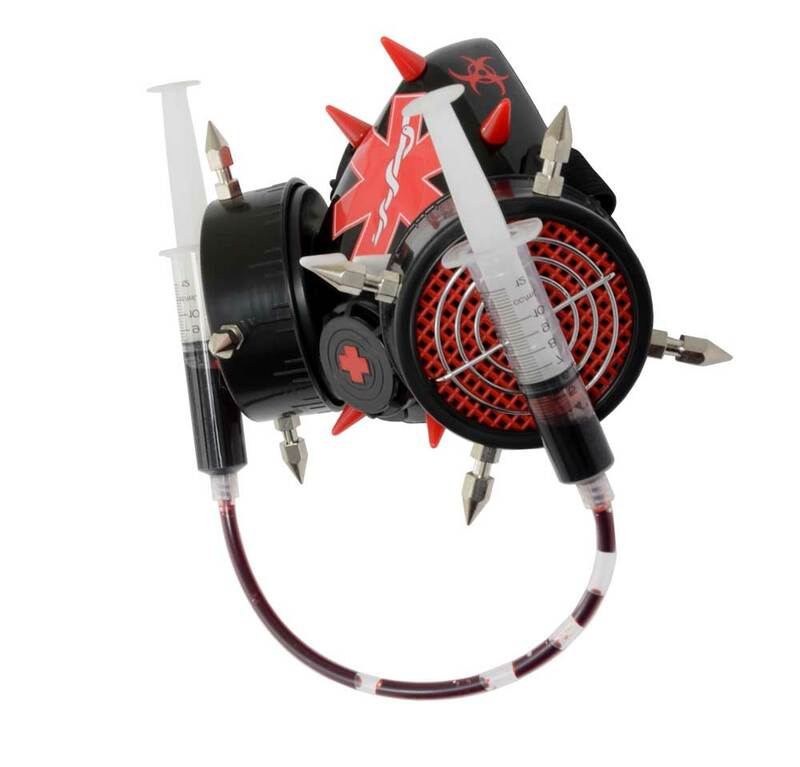 These respirators are popular with burners and can be used to protect from the dust with filter (not included).